Mary DeMuth, in her novel "Beautiful Battle," does a very good job of describing the character of Satan so he is easy to understand, especially within the confines of this book. This is a part that isn’t so much discovering something about yourself as it is learning about Satan and who our foe really is. It is educational and insightful. 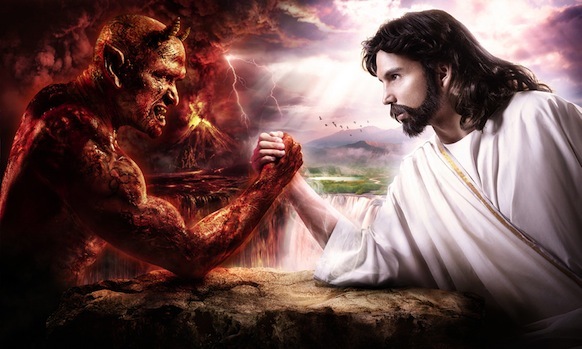 For my response to this particular chapter about Satan, I am going to do more of a summary adding in other sources and pieces I have learned about the Devil. Since this is a chapter about gaining knowledge, I will lay that out in a way to come back to if I ever need to remember who we are dealing with when it comes to Spiritual Warfare. This quote sums up DeMuth’s points on the Devil well. Satan is an enemy of God, one who seeks to destroy. By not believing in him, we give him power as we do by obsessing over his existence. It is important to acknowledge Satan, but only with the understanding that he can not harm those who are protected by the blood of Jesus. The origin of Satan is a debated topic. There is no storyline of “The Fall,” of angels falling from the grace of God lead by Satan, but several verses and philosophies have painted this picture. This is the context that DeMuth uses in her descriptions of Satan. He was the chief of the angels that became discontent in giving all the glory to God, he wanted to keep the focus on himself and his power. Satan was banished from heaven leaving him angry and vengeful against God. 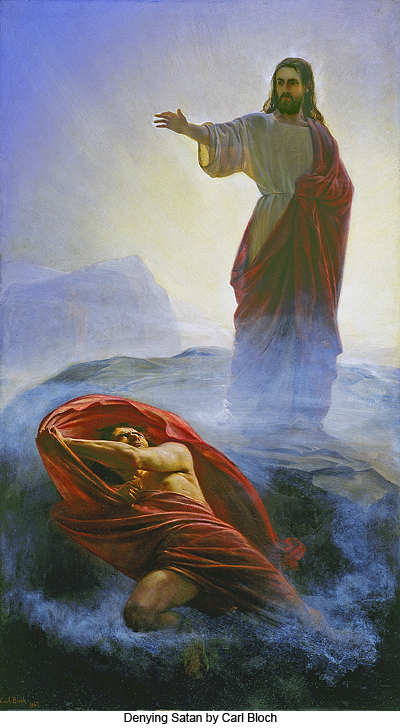 DeMuth mentions two verses (Isaiah 14:4, 12-15 and Ezekiel 28:2, 12-17) in which “the Fall” of Satan is described. These are the only two verses I can find upon further research on the subject. This does describe “The Fall” as we have come to understand it. But it must not have been very important to God for he did not see it necessary to include it in the Bible. It seems that the origin of Satan is not incredibly important. But there are many glimpses of Satan throughout the Bible and especially in Revelation. This tells me it is important to know Satan and what his games are so we can overcome his tricks. Often in the Bible, we see the phrase “of the world.” In most cases, this is a reference to the Devil since he is “thrown down to earth.” John states that “the thief comes only to steal and kill and destroy” (John 10:10a). 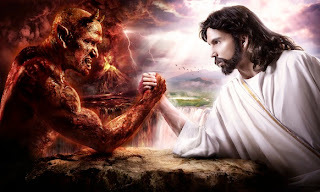 By putting these two ideas together, of Satan being ruler of the earth and coming to destroy good we can begin to see the method of Satan’s tricks against humanity. I say this to explain why when DeMuth provides the verse 1 John 2:16, it is to set up and very forcible equation of how Satan works. He wants pleasure, stuff and achievement (DeMuth p24). She continues with this theme to show how Satan fell; he wanted the pleasure of worship, the the abilities of God and creation and the recognition for making it happen. He uses the same equation on us; he tells us to seek the pleasure, we need the stuff and we deserve the recognition of achievements. 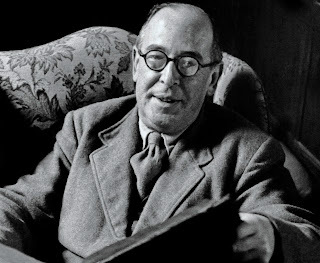 “For the world offers only a craving for physical pleasure, a craving for everything we see, and pride in our achievements and possessions. These are not from the Father, but are from this world” (1 John 2:16). Satan was jealous of God’s love for humanity. 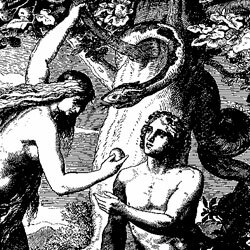 DeMuth explains that his jealousy was the cause of Satan’s interference in the Garden of Eden that caused Eve and Adam to bite the fruit from the Tree of Knowledge and cause humanity to also Fall, very similar to Satan (DeMuth 24). It also brought humanity within Satan’s power. He also realized that by hurting humanity, he also hurt God, which fit into his plan of retaliation again the Most High. Even though Satan is “of the world,” he is also permitted to roam in heaven and converse with God. We see this clearly in the book of Job. “One day the angels came to present themselves before the Lord, and Satan also came with them. 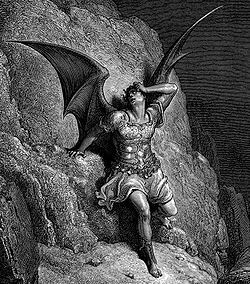 The Lord said to Satan, “Where have you come from?” Satan answered the Lord, “From roaming throughout the earth, going back and forth on it” (Job 1:6-7). Through the years and his comfort level with God, Satan became complacent despite being “Fallen.” He felt like he had control, that he one day may win the war with God and get his revenge. However, God sent his Son to earth to walk among Satan’s domain and see for himself what it was like on Earth among his people. The Blood of Jesus covers us and makes us whole. When we are filled with “Living Waters” and our gaping holes are overflowing with God’s light, Satan cannot trick us or harm us. We will join Jesus in triumph over the Devil God cast out. Then we can tell the world of our victories in Jesus. “They triumphed over him [the accuser, Satan] by the blood of the Lamb [Jesus] and by the word of their testimony” (Revelation 12:11a). Satan is always looking for ways to hurt God. He knows that by hurting us, he hurts God. He is cunning and manipulative. He tempts us, seduces us, deceives us, lies to us, and seeks to destroy our connection to God. He fights against the individual and against the church. There is no way to battle Satan on your own, but with God’s Word and the Blood of Jesus he doesn’t stand a chance. We can be confident in the realm of Spiritual Warfare battling on the same side as Jesus as long as we are covered by his blood. The best part about talking about Satan is that I read the end of the book, the Bible. The good guys win. Jesus emerges triumphant as does all who follow him. “And the devil, who deceived them, was thrown into the lake of burning sulfur, where the beast and the false prophet had been thrown. They will be tormented day and night for ever and ever” Revelation 20:10. *Note: This is a series that I will link up with at "Joyful Mothering;" however, the group discussion will not begin until later this fall. For now, I feel compelled to continue studying and posting what I learn. Devotional Study based on "Beautiful Battle" a novel by Mary DeMuth. Chapter One: "Woman at the Well"